Have you or a loved one suffered a physical injury in Oklahoma due to a car accident or medical procedure? Has a traumatic event damaged your mind or emotions because of someone else’s negligence? Have you experienced a diminished quality of life after your injury, causing pain and suffering to yourself and those around you? Have you lost wages due to missing time at work because of your injury? Are you struggling with the ongoing effort to recover from your injury and pay your bills? Did you suffer damage to your property, such as a vehicle, resulting in costly repairs or replacement? Are you wondering how you’ll make ends meet and make it through this difficult time? 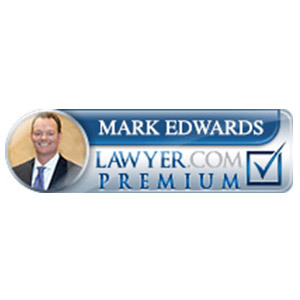 If you recognize yourself in any of these points, then you might have a personal injury case that the Edwards Law firm can help you to fight. It hurts to be injured, whether that injury was physical, mental, or emotional. It hurts to be looked at differently by strangers if your injury is visible (such as disfigurement or something that left you in a wheelchair). It hurts to not be able to engage in all the activities you used to enjoy because you no longer have the energy or the physical capability to do them. It’s devastating to discover that pain may be an ongoing part of your daily life. Not only that—your injury can be extremely costly. Between medical bills, the need for ongoing caregivers or therapy sessions, and the need for new medical equipment, your bills can stack up fast, adding insult to injury. Not only are you in pain; you also have a heavy burden on your shoulders, and you’re probably wondering how you will ever pay it all off. Plus, if your injury was caused in an accident, your vehicle was probably damaged or totaled, adding to the expenses that you are trying to pay. As if that weren’t enough, you may also be experiencing grief and sadness over a tremendous loss. Maybe you lost a loved one in that accident or medical procedure. Maybe your loved one lived, but they experienced a life-changing injury that means they can never again provide you with the care and affection that you once enjoyed. Maybe you yourself were the one injured, and you’re grieving over the loss of something that you can never get back, such as a limb, your eyesight, or your mobility. That’s the landscape of personal injury. If you are feeling the pain of the aftermath of an injury like this, you know that there’s no way to undo the devastating act. There’s no chance to hit the “rewind” button in life. There’s no such thing as pressing “pause” on your suffering. However, there’s also no need to go through all that suffering without any remedy at all. Personal injury law exists to help to protect those who have suffered an injury due to the negligent or malicious behavior of someone else. It’s there to provide financial compensation to those who are suffering. Will getting money undo your suffering? No. But it sure will bring a lot of relief when it comes to paying your bills. It will help you to improve your quality of life. It may spell the difference between being able to afford a crucial treatment procedure that would put you on the road to recovery, versus having to do without. This is where hiring a good lawyer comes in. Your personal injury lawyer can help you to make a claim, fight for justice, and demand the compensation you’re entitled to. Having an experienced personal injury attorney on your side can make the difference between being offered an unfairly low settlement and finally having the insurance companies take you seriously. No attorney can guarantee the outcome of your case, but they can counsel you on whether or not you have a case in the first place, and then argue in court on your behalf. A personal injury attorney on your side is someone who gives you a voice when you have no voice. It’s someone who knows how to navigate the loopholes and roadblocks that the insurance companies are so good at using against you. It’s someone who has the clout to stand up on the behalf of the little guy and make a clear and compelling argument for why you should be awarded compensation. At the law offices of The Edwards Law Firm, we believe that everyone should have access to comprehensive, experienced legal representation. 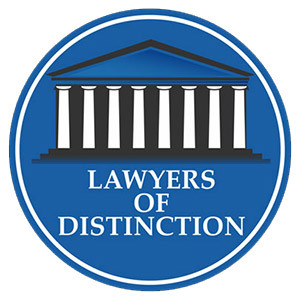 Our firm has decades of experience handling personal injury cases throughout Oklahoma. 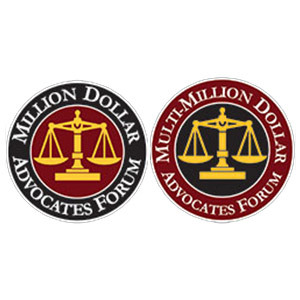 Our skilled team of attorneys has won over $100 million in successful verdicts and settlements for our clients, and we are ready to help you today. 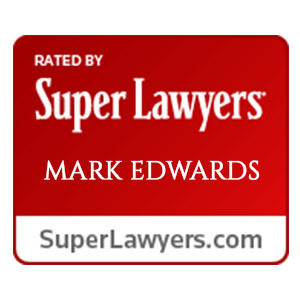 The Edwards Law Firm works on a contingent fee basis. This means that we only get paid if you win. 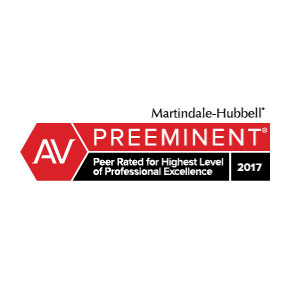 We proudly offer free initial consultations, and we will review the details of your case with you, at no charge to you, at your initial consultation. Not only that, we offer an initial consultation that’s 100% free! In your FREE case review, we’ll discuss with you the probability that you have a winnable personal injury case. You’ll get advice from our team regarding the best way to move forward, and you’ll get the information you need to be able to take the next step with confidence. 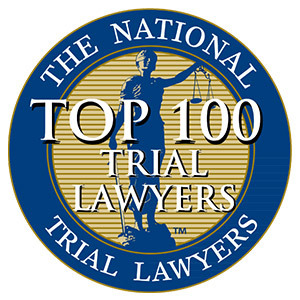 Contact our attorneys today for your FREE personal injury case review. The law defends people who have been injured in one or more of these ways. However, not everyone has a case that will stand up in court, or one that will result in compensation. For instance, everyone who gets a cold doesn’t have a case for a personal injury claim, even though “sickness” is one of the types of personal injury. Personal injury cases are ones where you were damaged in your body, mind, or emotions due to someone else’s misconduct. If someone was negligent, reckless, or intentional in causing you the harm that you suffered, then you most likely have a legal case. One other important point: Personal injury is a type of civil case where the outcome is monetary compensation. It’s not a criminal case where the person who inflicted the damage will end up behind bars. Therefore, if the person who caused your injury doesn’t have any money, it may not be worth your while to pursue a case. For instance, a woman who is a victim of domestic violence may have every right to file a personal injury claim in addition to pursuing criminal justice. However, if her partner doesn’t have any money, then she probably won’t get anywhere with a personal injury case. For that reason, personal injury cases typically fall into a few common categories based on where the “deep pockets” are. Typically, these are the cases where there’s insurance coverage, such as accidents and medical procedures. 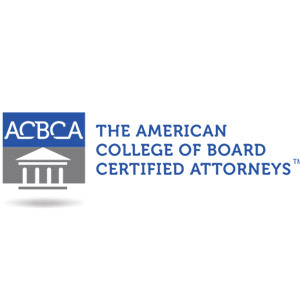 Below, we have compiled some additional resources on the most common types of cases we handle. Click on each one for further information and resources. Accidents in Oklahoma are covered by insurance. Learn about how an accident attorney can protect your interests after a personal injury. Hospitals and other medical staff are also covered by insurance. 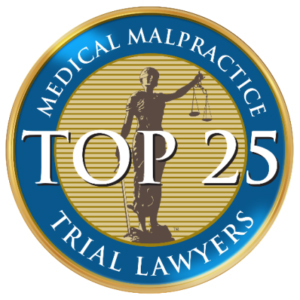 Learn about when to involve a medical malpractice lawyer and file a claim for compensation. After an accident, you and your family may be confused about what to do next. An experienced lawyer can guide you through the process of filing a claim, dealing with your insurance, and making sure your best interests are protected. When you have been hurt due to the negligence of another, you have a right to receive fair compensation from whoever is responsible for causing your injury - whether it is an individual, an insurance company, or an entity such as a hospital, a business or a manufacturer. If you or your loved ones have been hurt by the actions of another, contact us today at (833) 387- 5945 to find out how we can help you pursue compensation for your injuries. 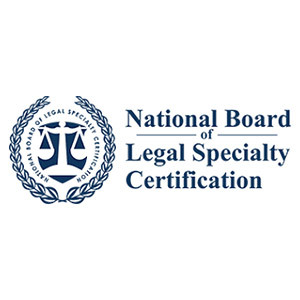 The term "personal injury" is not synonymous with "physical injury." It has a much broader scope, as it is a legal description for any injury that a person can sustain to their body, mind or emotions. It's important to note that in many personal injury cases, the property of the injured can also be damaged. Most personal injury claims also include a request for damages which are sufficient to repair or replace any damaged property. Physical Injury - Injuries to a person's body which occur due to the negligence of the at-fault party. For example, a motorcyclist who suffers a broken leg after being hit by an impaired driver would have a claim for personal injury. Psychological / Emotional damage - Victims of traumatic accidents often have lasting emotional or psychological damage, which can interfere with their daily life. An example of this would be a mother who was traumatized after seeing her son injured after a collision, or a freeway auto accident victim who is unable to drive for fear of being involved in another crash. Damage to property - This type of damage often show up in accidents involving motor vehicles, where the vehicle itself is damaged or totaled. The cost of the repair or replacement of your vehicle, or any other damaged property, can be included as part of your claim. If you or someone you love has been injured, our team of Oklahoma personal injury attorneys has the knowledge and resources to fight for your maximum compensation benefits. In addition to special damages and general damages, the court may also award punitive damages if you can prove that someone acted intentionally to cause your injury. Punitive damages are an additional sum of money that serve as a punishment to whoever inflicted harm on you and a deterrent to anyone else in the future who might consider doing the same thing to someone else. Are you hoping to file a personal injury case, but don’t know if you can afford to? Here’s what you need to know. A lot of people say to themselves, “I could never afford a lawyer” without realizing that there are lawyers who don’t charge upfront fees by the hour. When it comes to your personal injury case, you should look for a legal firm that charges on a contingency fee basis. This means that the law firm won’t get paid unless they win the case for you and obtain a settlement or a verdict. Only then will the lawyer be paid, by taking a percentage of the money the court awards you. (You will have agreed ahead of time on the percentage that your lawyer will get). The Edwards Law Firm charges on a contingency fee basis, meaning that we don’t charge you any upfront fees while we are handling your case. We only get paid when you get paid. You don’t owe us anything to get started with your case. When we take on a case, we’re taking a risk by spending time doing work on a case we might not win. We take this risk off of you. No one wants to pay a lawyer a bunch of money along the way, only to lose the case at the end of the day. We work that much harder to win your case. It’s a great incentive for us to find the winning argument when we only get paid if we win. After an accident, you may find yourself bombarded with calls from insurance companies, and the other party's attorneys or investigators. Many insurance companies will send out "estimators" that are trained to de-value your claim and offer you settlements which are far from what your claim is worth. It's important to note that in most states throughout the U.S, injury lawsuits must be filed within a set period of time after the incident. With that in mind, please contact our staff shortly after your incident has occurred. That way, we can begin protecting your best interests and enable you to focus on your recovery. We’ve covered a lot of ground so far, and you may be wondering just what you need to do next, especially if this is the first time you’ve approached a lawyer for any issue. You don’t have to think of yourself as a “litigious person” to need a lawyer to represent you after your accident. Accidents are stressful, scary times, and if you are injured or dealing with mental suffering, it will be harder than ever for you to deal with representing yourself on your own. Insurance companies know that people hate hassle more than they hate almost anything else. If they can get you to perceive that it’ll be a huge, time-consuming mess to resist their assessment of your accident, they can persuade you to be silent and just take whatever they hand you. There are times in life when it’s not right to be silent. Hiring a lawyer can be the way to give yourself a voice. It lets the legal firm be the one to hold the insurance company to give you a fair amount for your suffering. Decide that it’s right for you to pursue getting legal counsel for your accident. Make sure that you’re within the time limit to file your case. See the section on the Statute of Limitations above. Find out if you have a claim. 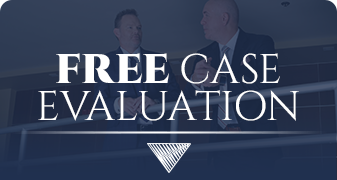 We make it easy for you to do that with our free case review. Once you’ve taken these steps, you will know if our attorneys have decided to take your case. We will guide you through every step of the way. It’s our goal to take the hard work off of your shoulders and put it onto our shoulders. However, along the way, there will be things we ask you to do. For instance, we’ll need you to compile any evidence you have, such as names of witnesses or photographs of the accident. Every case is different, so the exact process of fighting for justice for you might look slightly different than it did for everyone else. However, we’ll give you step-by-step guidance through the journey so that you will feel at ease and know what’s coming next. Can You Be Sure That You Will Win? There’s no guarantee of success. No one can predict the outcome of your case, and no matter how many other people have had cases similar to yours, no lawyer can guarantee your results. (Besides, it’s illegal for lawyers to issue—or even imply—a guarantee.) Our former results don’t predict future outcomes. We transfer most of the risk to ourselves, taking it off of you. How? We work on a contingency fee basis, so we only get paid if we win the case. This incentivizes us to work harder to win. Plus, it frees you from feeling like you’re going to be stuck paying attorney’s fees for a case that you might lose. We only take cases that we think we can win. If we review your case and don’t think that you have a good enough claim to stand up in court, we’ll let you know right at the beginning. We don’t want to waste our time or yours. With offices throughout Oklahoma, our personal injury law firm is here to help injury victims fight for the justice they deserve.